J-14 New Moon Countdown: 14 Days to Go — Justin Chon Dishes On Paparazzi! For today's exclusive J-14 New Moon special, we chatted with Justin Chon who plays fun-loving Eric Yorkie about the first time the cast got a surprising welcome at the Vancouver airport from the paparazzi! J-14: What was it like landing in Vancouver to film New Moon, knowing it would be so different than the experience filming the first Twilight? Justin Chon: Just a total trip. Most of the movies I've done were small indies on a smaller scale. Shooting-wise, they feel the same — you're just working — but in terms of what's surrounding the movie, it's just unbelievable how many people have so much interest in this movie — it's just wild. I just can't believe it. J-14: Did you know the paparazzi was there when you got to airport? Justin: No! What happened was the driver was like, "Alright, let's go up this escalator and go a different way because there's a lot of paparazzi." We all started laughing thinking it was a joke. We were like, "Haha, funny joke!" And then we went out through this one exit and there was a bunch of people just starting to take pictures from afar. We were like, "Wait, are they…?" — that's why the beginning shots when we're just walking we just look really like confused I think there's a picture of me with my mouth open. It's really like pretty funny I just don't know what the heck's going on! I asked Anna [Kendrick], "Wait, are they taking pictures of us?" We just had no idea and then we realized they're taking pictures of us and we just were like, "Whoa!" Then there were autograph seekers — and we gave them autographs and the paparazzi was kind of like a total surprise! J-14: So they found out what flight you were on? Justin: Yeah, when when we were going home too. 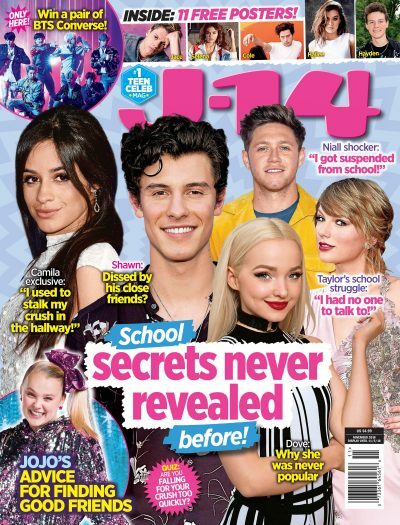 J-14: And they were hanging out on set too? Justin: Yeah, we had these black things to cover the set so you can't see inside the set. But they were shooting in between crevices and we had paparazzi people at the hotel too. J-14: So were the rules on this set different? Justin: Not for us. I mean there was just certain rules like no friends on set and you have to get permission before you brought anyone. And just the way we would even be transported was a lot more different. They would have umbrellas to cover our faces — they were just taking way more precautions this time.